After experiencing seasonal mold in older San Francisco Bay Area homes, people sensitive to mold have asked what to look for in the next house they either buy or rent. Many thanks to a current client who’s considering doing just that, who provided me with opportunity and inspiration to write this post! Fortunately, these ideas work just everywhere else in North America. All other things being equal, here’s what to look for to find a house less likely to have or develop mold. Please understand, all existing houses can be made more healthy, durable, comfortable, and energy efficient. However, a tenant is not going to make the improvements and the landlord is not incentivized to do them. The best a tenant can do is look for these features in a house they’re considering. Note: If any homeowner or landlord is able to produce satisfactory evidence of healthy improvements, such as Home Performance w/ ENERGY STAR certificate, pleas ignore this article! This article is about good or better, but not best. Slab. If you’re sensitive to mold, please don’t get a house with a crawlspace (unless it has at least 100% coverage over with a quality vapor barrier installed over the dirt.) A house with a finished basement is acceptable. The benefit of a slab is that no part of the living space is below ground and there is no air space underneath. The problem with a crawlspace is air drawn into the house as hot air leaves the attic. Also, with a slab, there is no wood to absorb moisture! Without moisture, mold can’t grow. Without food, it can’t grow either. Double-Pane Windows. Window condensation is a major clue that the moisture load inside the house is too high. Windows get cold the fastest. They are the first surface to get cold enough (below the dew point) to condense water out of the air. Double pane windows help keep the window temperature above the dew point. Insulated Attic and Walls. In most places, look for 12 inches or more of insulation to achieve at least R-30 in the attic. When ceilings get cold, they too will condense moisture out of the air. After the late 1970’s, better wall insulation started to be installed. But, no one has bionic eyes and infrared imaging (thermography) is expensive, so it’s hard to tell by looking at it. Insulation is what helps keep the wall temperature up. Stucco Exterior. There are many reasons many run as fast as they can from stucco, particularly in the Southeast. The issues are the same in California, only there is less humidity in the summer. A big bonus with stucco is that it does a great job of air sealing the walls, even if the builder didn’t intend to. No other exterior type has this benefit. Houses with synthetic stucco (EIFS: stucco skim coat over foam) is best for getting an air tight house. If you get one of these houses in the Southeast, get a Certified Stucco Inspector by Moisture Warranty to check it out for you. With a slab floor and stucco exterior, about the only thing left with holes in it is the ceiling. However, the house may be considered air tight, but it could be one of the dustiest houses you’ll ever live in because insulation is being pulled out of the holes in the ceiling into the house. Check the air filters. If they’re clogged after 2-4 weeks, consider another house. Count your blessings if you can easily get away with not changing them every 3 months. Flexible Ductwork. The advantage flexible ductwork has over rigid metal is that air-leaky holes are usually restricted to the ends. Flex duct has a lot of disadvantages, but air holes in the middle isn’t one of them. What we’re looking for is fewer holes to draw outside air into the house, especially from the attic. Rigid ducts are built in 5’ or less sections. Everywhere they link together creates a joint that should be sealed—usually with mastic, not duct tape. Every seam is also a hole. I love metal ducts, but the ducts need to be air tight. That’s rarely the case. Using flexible ducts reduces the amount of holes, but does not eliminate them. The connectors are rigid metal, which still need to be sealed. Also, for whatever reason, HVAC contractors think using a Zip tie is enough hold a duct to its connector. Mastic is still needed to seal flexible ducts to metal pieces of ductwork. Again, not very likely. 1990s or Newer Home. Houses built before the energy crisis in the 1970s are likely to be under-insulated and air leaky, at best: 2 strikes against hope for a healthy home. If the ductwork is in the attic, garage, or crawlspace: strike 3! Building codes for more energy efficient building practices did not even begin to be perfected before 1990 because we were still learning how to make them healthy. The California Energy Commission has been leading the way in getting a higher inventory of energy efficient homes Nation wide. This state has to because no one can afford to heat or cool an inefficient one. Many of the recommended features here resulted from trying to build more energy-efficient houses. There is a marked improvement starting in 2005 all over the United States because the first year the International Energy Code was required Nationally was 2004. Newer houses are usually more expensive to rent. However, don’t forget to add the cost of utilities to the monthly rent or mortgage payment to compare houses. An older house is typically more expensive to live in each month than a newer one in California. Ventilation. Look for bath area fans and rangehoods (or downdraft cooktop vents) that vent outside. The building code allows a builder to get away without installing bath area fans when there is an openable window in the bathroom. Who does, when it’s cold? Also, recirculating fans over stoves don’t count. Moisture drawn in by the fan is blown right back into the room. Again, the builder is allowed to get away with it if a kitchen window can be opened. Who does? Most are lined with knick-knacks easily knocked over when trying to open them. If the spot ventilation fans are there, consider putting the bath area fans on timers or, at least, humidistats. The goal is to let the fan run long enough to get moisture out. It has the added benefit of drawing outside air in (which may or may not be fresh). The goal is to not let unhealthy levels of out-gassing or moisture build-up inside the house. It’s easy to do in a tight house. Let it out early and often. Use the Heat! One way to keep moisture from condensing inside the house is to keep the air dry. This is done, in part, by increasing the temperature to around 68-72 degrees in the winter time. Dew point drops because relative humidity drops in warmer air. Ask for the utility records for the house for the last year or more. If you can’t get them from the utility company before agreeing to live in the house, ask the owner to get them for you. In California, you also have to ask what temperature the house was kept at in winter. Many choose to live in a cold house because the energy costs are unaffordable. Don’t wait until you move in to start asking questions! Home Inspection. Most people can easily determine whether the features mentioned here exist on the home they’re considering. If you’re buying a house, get a home inspection. If you’re renting a house, get a home inspection, for similar but different reasons. In either case, you want to know if the house you’re looking at is healthy to live in. You’d also like to know whether the systems in the house are put together properly. The good news is that a standard home inspection will get you part of the way toward these answers. Home inspections are about determining the condition of the house—not figuring out how it performs. For people sensitive to mold and other allergens, it’s performance that counts. Please understand. Home inspection standards are about determining if the systems are installed correctly: structure, plumbing, electrical, heating & cooling, gas, storm water drainage, and energy. I teach these classes. Schools teach these things in 45-120 hours. At end of class, a student can tell you whether each system is installed correctly. Home inspectors are not trained to consider what matters to you two months after you move into your house: indoor air quality, moisture control, and energy efficiency. These items are touched on, but specifically excluded by contract. It’s one thing to report all the pieces of the air ducts are put together. It’s quite another to know whether they leak or not. The list goes on! There are some home inspectors who’ve gone on to study building science. They’ve studied a lot more and have specialized equipment. These are home inspectors I hang out with and refer when I’m unavailable. Home Performance Assessment. To determine home performance requires a different kind of home inspection, where indoor air quality, moisture control, and energy efficiency matter. Home performance contractors and auditors perform them. A place to start looking is with an Internet search engine , using the key words: home performance <state>. When you find terms like Home Performance and ENERGY STAR on their websites, you’re getting close. If you find a “.org” website, you may have found a lot of them in your local area. If you live in San Francisco, look for www. CBPCA.org. In the Southeast, there is Southface Energy Institute, http://www.southfacehomeperformance.com. If you’re lucky enough to find a home inspector who also does home performance assessments, you’re lucky indeed! Mold Testing. For people sensitive to mold, testing the house for mold is important, whether it’s visible or not. Please understand: Mold testing is not a moisture investigation. You’ll know whether there are unusually high mold levels, but you probably won’t know why or what to do to fix it. Many home inspectors and environmental companies do mold testing. Home Inspection Options. Your best bet is to find a home inspector who also does home performance assessments and mold testing. That’s one stop shopping! But what are your choices is this rare breed is unavailable? The next best alternative is a home performance assessment with mold testing. You’ll need two different companies. If mold is a problem, you may need to consult with a mold remediator. A home performance general contractor can get rid of the moisture sources. The more likely combination is a home inspection with mold testing. Many home inspectors do both. You’ll stand a good chance of understanding where the moisture is coming from if unusual mold levels are found. If not, at least there is someone to ask what to try next. Some people go with mold testing only to decide whether to move in or not. This is fine for an up or down vote. However, there are no other clues about indoor air quality, moisture control, or energy efficiency for the house. If you find a house with the mentioned features, mold testing may be all you need. The best time to look for houses anywhere is during the rainy season! The best resources for more information in this case are this blog and our home performance and mold websites. Home InSight is a home inspection company specializing in home performance and mold—that rare breed we mentioned. 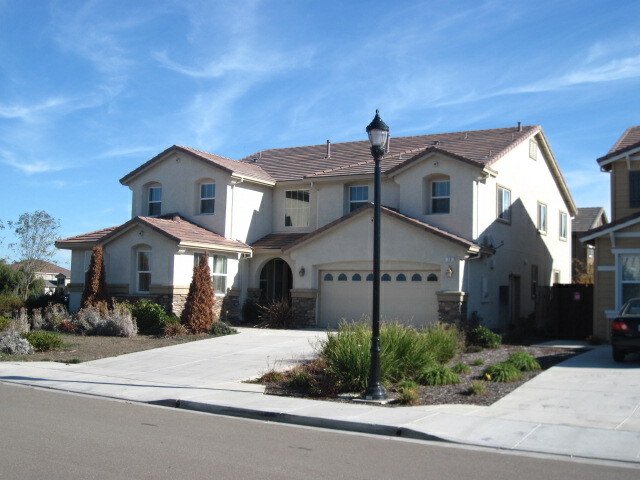 We also do stucco inspections. In Atlanta, GA, contact Southern Home Performance. If decide to choose an older house in the San Francisco Bay Area, please consider our post on Avoiding Seasonal Mold in California Bay Area Homes. If you have specific questions about your climate, please comment on this post!